My brother and his lovely wife are expecting a baby girl in mid-June. And as so often happens, one momentous life change is accompanying another — they’re planning a move within the next few months as well. So when my brother mentioned a potential design theme for the baby’s future room, I couldn’t help but get just a little bit excited… But considering the move, we’ve got some time til the new room is created. 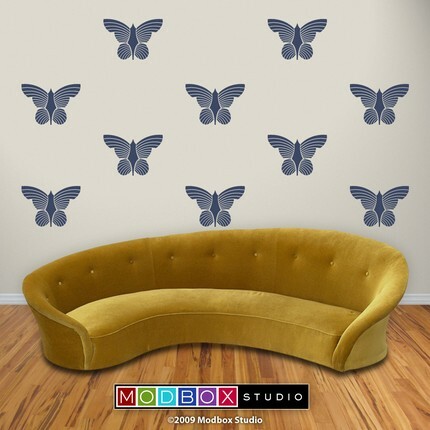 (The only trouble with butterfly decor is that it’s so easy to fall into cliche with pastel colors, which can look really old-fashioned really quickly. That’s why I love these designs (below). They’re both totally unique and unlike any butterfly decals I’ve seen before). These butterfly decals are BIG. But they’re gorgeous, come in lots of different colors, and like any decals, can be used in any configuration. I just love them. 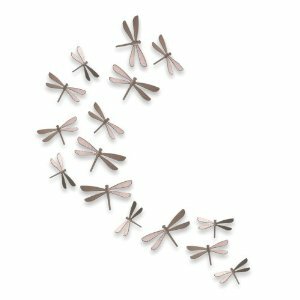 Yes, I know these are dragonflies, not butterflies. 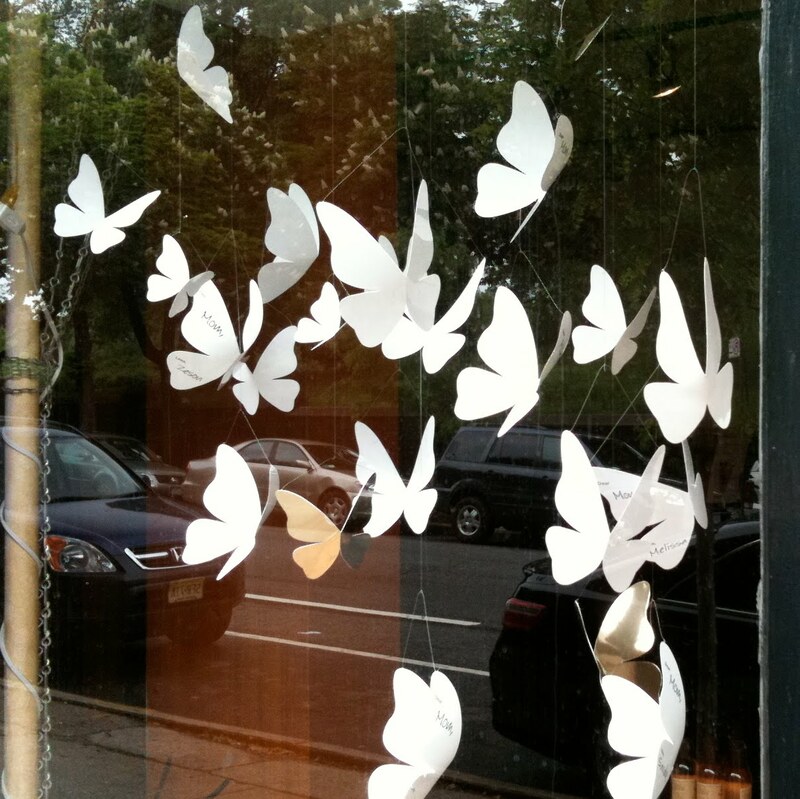 But if you haven’t seen them before, Umbra wall decor (including the butterfly version, here) are incredibly clever. They’re 3-d, (mountable via little magnets, which attach to thumbtacks placed on your wall) and unlike decals, removable and re-usable. Perfect for a temporary nursery space or shared area. I’ll be returning to the butterfly theme over the next few weeks. So if you’ve got your own favorites, please send them my way. Esther, you are a rock star.